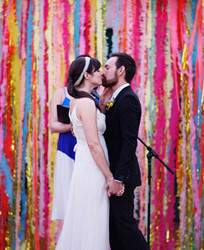 This pretty wedding, (full of awesome paper details, we have to point out! ), took place at a gorgeous chateau just outside of Montreal. Who says you need to go to France to have a wedding in a huge historic house? 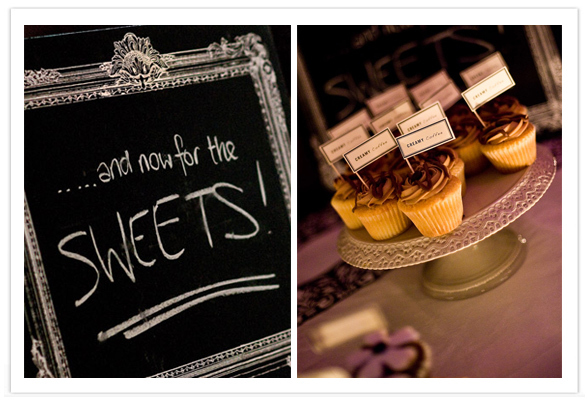 Jessica and Jason did a beautiful job incorporating tons of personality into a sophisticated event. 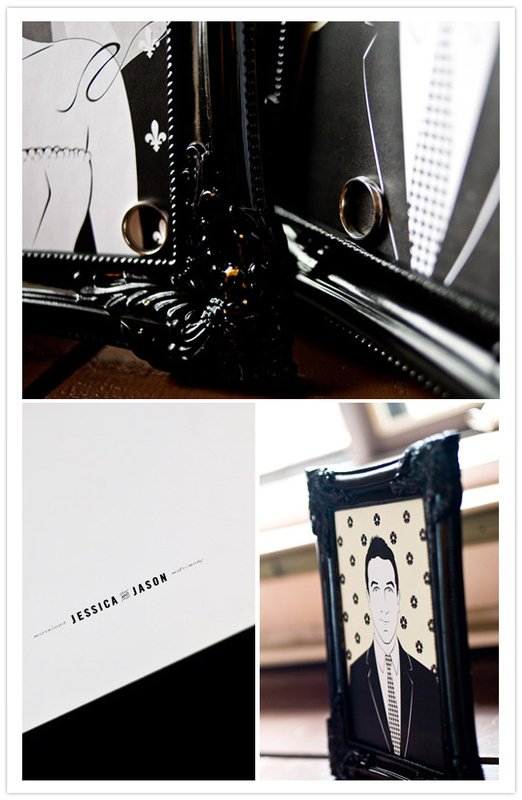 They designed all of the paper pieces themselves, using their portraits as a thread throughout their invites and the rest of their wedding. They even used them on the backs of the fans that doubled as ceremony programs. Awesome job you guys! 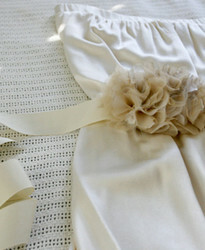 Jessica’s dress came from the annual Filene’s Running of the Brides event in Boston. She and her sisters and a few friends woke up at 4am to wait in line at the convention center. Which was totally worth it when she scored her dress for $399! The best part is she has no idea who the designer is because the tag had been ripped out. Brand just doesn’t matter if you find a dress that fits you perfectly! They chose “Wigwam” by Bob Dylan for the processional (a nod to the Royal Tennenbaums) and the bride entered to “Just like Honey” by Jesus and The Mary Chain (from Lost in Translation). They wanted to make sure that music, like the rest of the wedding, felt like THEM… not just like any other wedding. They designed the placemats at empty frames so guests could create whatever they liked inside. Cute ideeer guys. And dinner was BBQ style, served so guests could pass around platters of food as if they were at a family feast. Jessica and Jason, you guys did an amazing job putting together your wedding! Your paper details are awesome and you seriously thought of every single detail that could be designed. We like that. Thanks so much for sharing!! 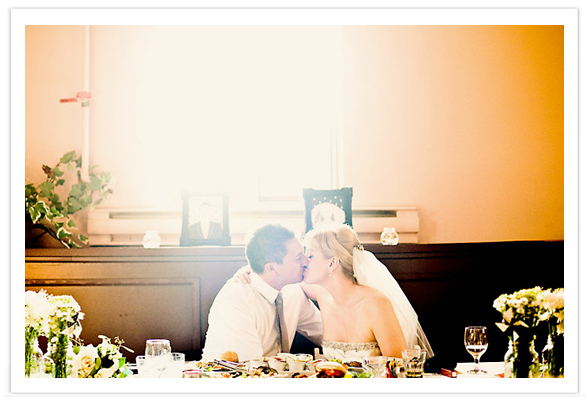 Beautiful couple, stunning photography, and... mmm mmm, the food looks good, too. Thanks for the part about musical choices. My fiance is a musician and has great taste in music all around. We're trying to find a way to incorporate music that speaks to us... even though our ceremony is going to be traditional. Thanks for the inspiration! Love it! Thanks for the post, you guys are awesome! 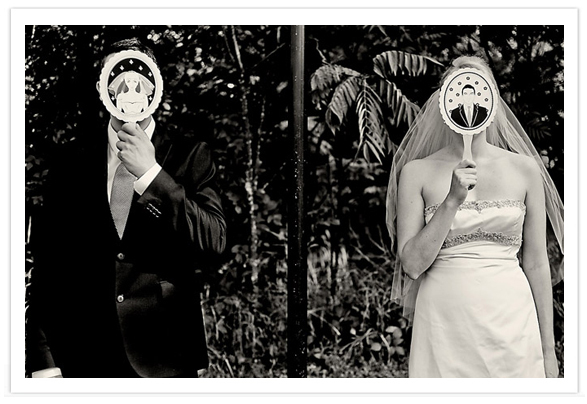 What a cute quirky wedding. Davina and Daniel did an a amazing job as always! 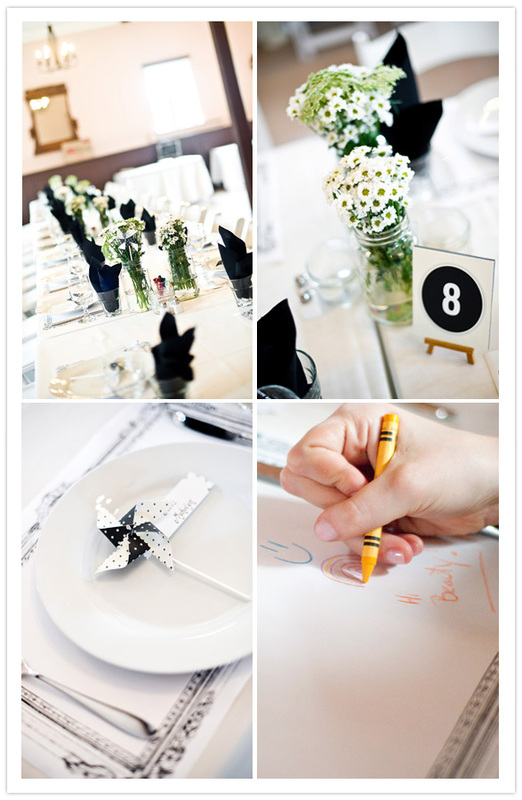 Great whimsical black and white details! .Ruby Murray is slang for a curry!! Talk about personal style! Beautiful images... I love the couple kissing with fireworks in hand. Adorable and so fun! 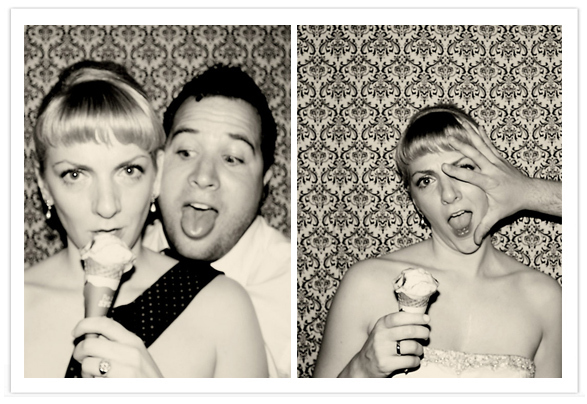 I love the bride/groom fans in the first picture! 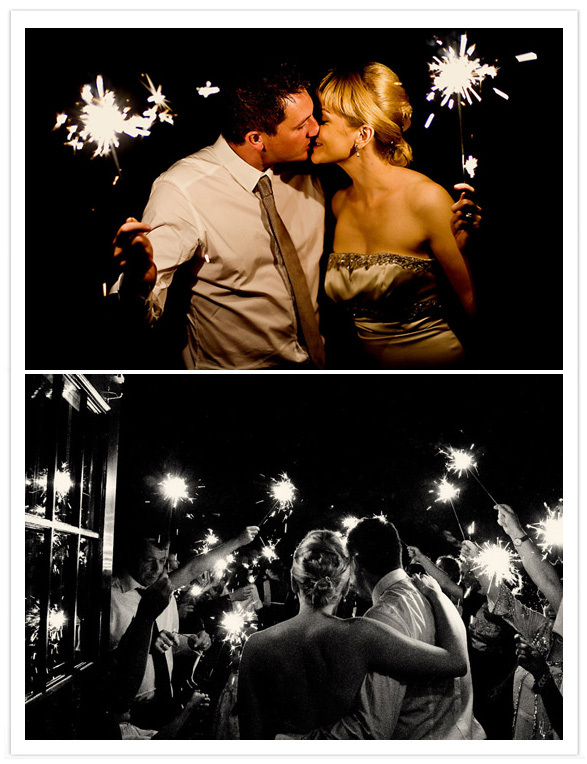 Love the images of the sparklers! They really add to the atmosphere, don't they? 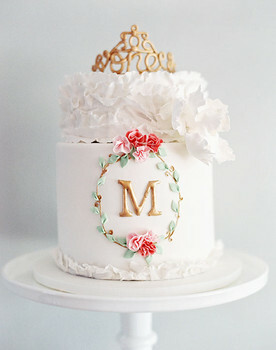 elegant and fun! love it!!! 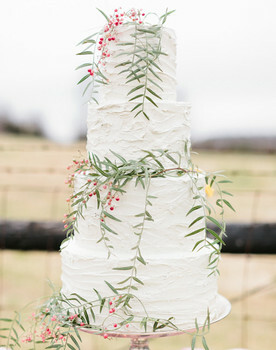 love it ...makes me want to renew my vows and use their GREAT ideas! Beautiful photography! Wow, I heart this wedding. So, so cute. 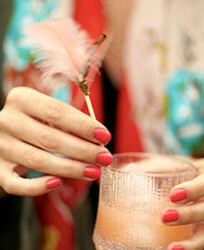 Beautiful and classy! 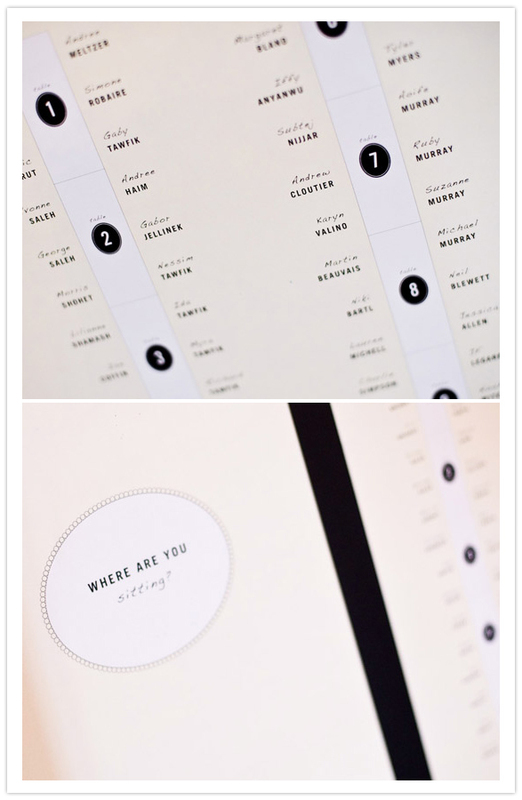 I am loving the seating chart, can you tell me where you got it? Thanks! I LOVE the placemats! And the damask photo backdrop. I thought damask would be too busy for a background, but it worked STUNNINGLY!!!!!! wow! every detail is amazing, thanks for sharing! Beautiful wedding!! Does anyone know where I can find the vintage-y placemat design?? SO FRESH & CLEAN! lOVE THE PALETTE. I have to say this is a truly unique and inventive wedding. Great job on all the little details! A truly splendid wedding. The grilled burgers look very tasty and the fries look sumptuous too. The beautiful bride looked ever more stunning with her simple but lovely wedding gown. Quite a nice bargain! 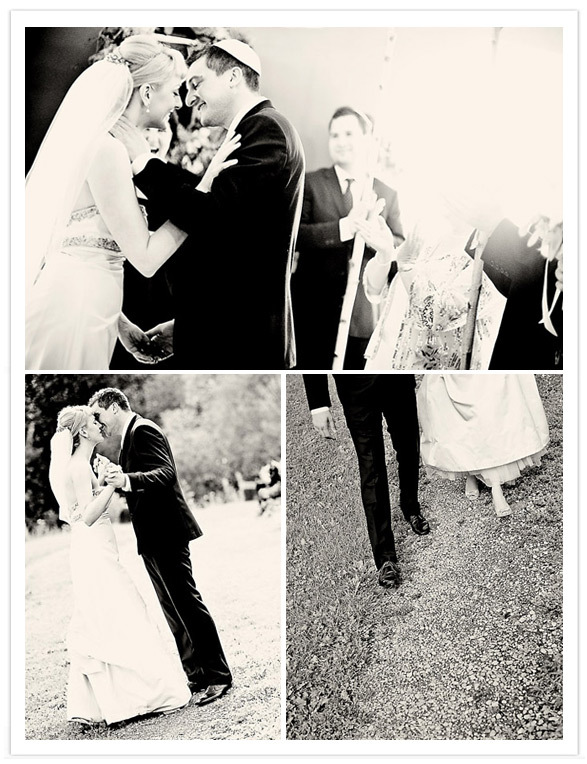 The black and white photos really look great, made the whole scenery vintage looking! 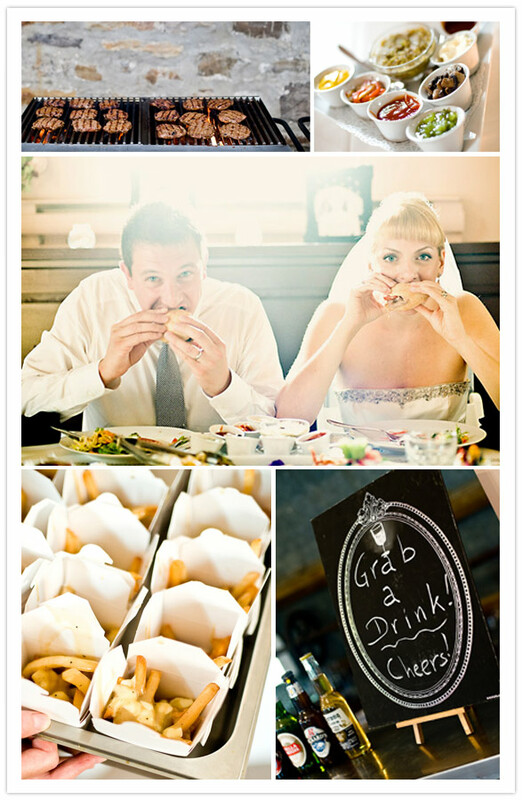 Good Idea, hamburgers are a kind type of food and cheap in argentina, we take your idea for our wedding. THANKS! Jealous! 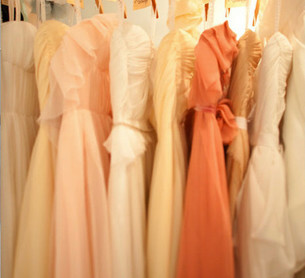 haaha the wedding, beautiful.